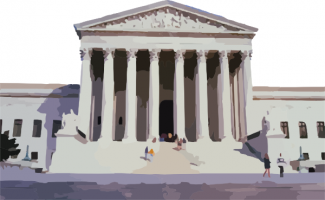 Can Supreme Court Decisions Be Wrong? I am going to argue the answer is no. The District of Columbia v. Heller case was a five-to-four decision decided on June 26, 2008 which invalidated a DC law banning handgun possession in the home. The court found DC’s law was unconstitutional because it violated the Second Amendment of the U.S. Constitution. I reviewed Justice Scalia’s majority decision in the Heller case and the separate dissenting opinions by Justice Stevens and Justice Breyer. I was greatly impressed with these documents. They reveal a remarkable degree of scholarship and thought. Both sides provide extensive analysis of the Second Amendment’s language and history. The court’s decision and the two dissents comprise about 121 pages and 68 footnotes. There is general agreement that the Second Amendment was added to the Bill of Rights in 1791 to placate Anti-Federalists in the founding generation who were concerned Congress might disband the state militias by seizing the arms of individuals in those militias. The Anti-Federalists were worried a strong centralized power could take away the people’s liberty. Justice Scalia’s majority opinion argues that the Second Amendment confirms a right the founders thought the people already had — even though the purpose of the amendment was in support of “well regulated militias.” The “right of the people …. shall not be infringed” is referring to a preexisting common law right to bear arms. Scalia believes it would be almost frivolous to argue that the Second Amendment protects only the types of weapons commonly in use in the 18th century. He also admits that militias of today (the state National Guards) use weapons that far exceed what are commonly stored in the households of today, unlike in the 18th century. He insists the people have a right to bear arms even though the purpose of this right as cited in the Second Amendment is no longer a valid purpose (i.e., individuals in today’s militias (National Guard) do not bring their personal weapons to Guard duty). Justice Stevens argues that the Second Amendment was adopted to protect the right of the people to maintain the state militias and does not confer a right to bear arms for non-military purposes. He says there is no evidence the founders intended to add the common law right of individuals to bear arms to the constitution. Justice Breyer’s dissent starts by agreeing with Justice Steven’s dissent. He then goes on to question how the majority arrived at overturning the DC law and how they arrived at allowing any particular restrictions on the Second Amendment right. Why can’t the DC legislature make the judgment that a total handgun ban might help the local crime situation? If I were judging, I think I would consider today’s handguns and rifles are many, many times more effective than the handguns and rifles of the 18th century. Perhaps some of the founders would have balked at approving a general right to such firepower unconnected to militia service. After all, Scalia admits the common law of the 18th century did not permit dangerous or unusual weapons. Today’s weapons surely would have been deemed “dangerous” by 18th century standards. If today’s weapons aren’t dangerous enough for Scalia, what about future improvements in handguns and rifles that may result in even greater killing efficiency? In my mind, no amount of footnotes, detailed recitation of facts or legal analysis can make a decision like this one clearly right or wrong. I don’t accept there is a realm of legal truth apart from factual truth. Some factual issues are hard to resolve but are in theory resolvable. Scientists will eventually find an effective treatment for dementia even there is no such treatment today. Issues like the one in the Heller case aren’t like the dementia issue. More research, more analysis doesn’t get us closer to a definitive right answer. Even if you agree the Second Amendment confers a right to bear arms, how do you jump with certainty from the high level language of the Second Amendment to resolution of very specific factual scenarios? Each justice applies his or her own judgment to the facts and law of the case. There is no one right way to judge a case. There is an inherit subjectivity to these decisions. It’s fine to disagree with a court decision, but to claim that Heller or any other case was wrongly decided just doesn’t make sense to me. 2 Responses to Can Supreme Court Decisions Be Wrong? Mr. Pearson’s argument seems to me irrefutable. The Constitution is silent about matters the founders could not possibly have contemplated, much less reached agreement about. If the Founders were to materialize in the present, they would divide in opinion pretty much the same way the rest of us do. A great preponderance of the claims we make in the name of the Constitution are manifestly wrong, given that the founders never thought of them nor could they have. Mr. Pearson’s argument seems to me irrefutable. The Constitution is silent about matters the founders could not possibly have contemplated, much less reached agreement about.